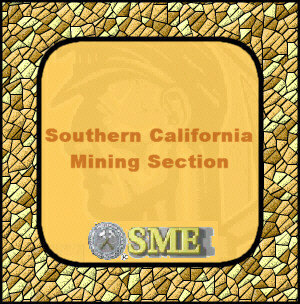 SME is the technological organization for professionals in the minerals industries, and is comprised of a diverse group of mining professionals. This group includes engineers, geologists, scientists, regulators, educators, technicians, various support professionals such as sales personnel, and managers. One of the major goals of the SME is to advance professional development of it's members. To this end, our local section attempts to achieve this by presenting topical presentations at our monthly meetings, our seminars and field trips. To see more information about the type of presentations and activities currently scheduled, click on the appropriate button in the menu at left or on top of the page.